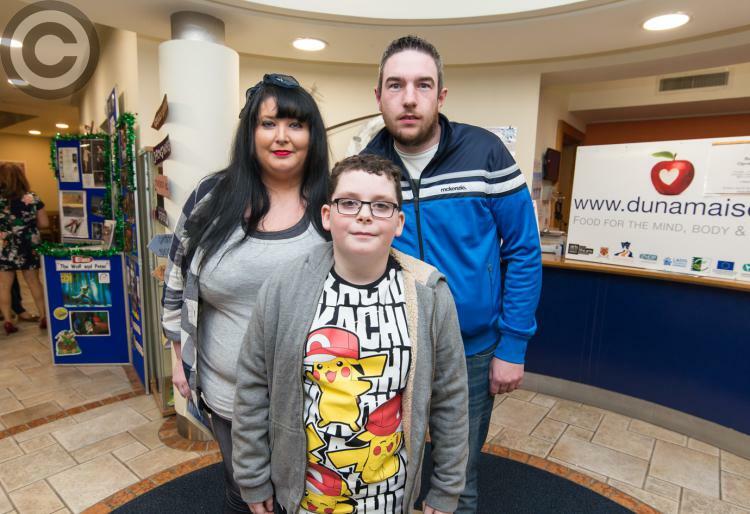 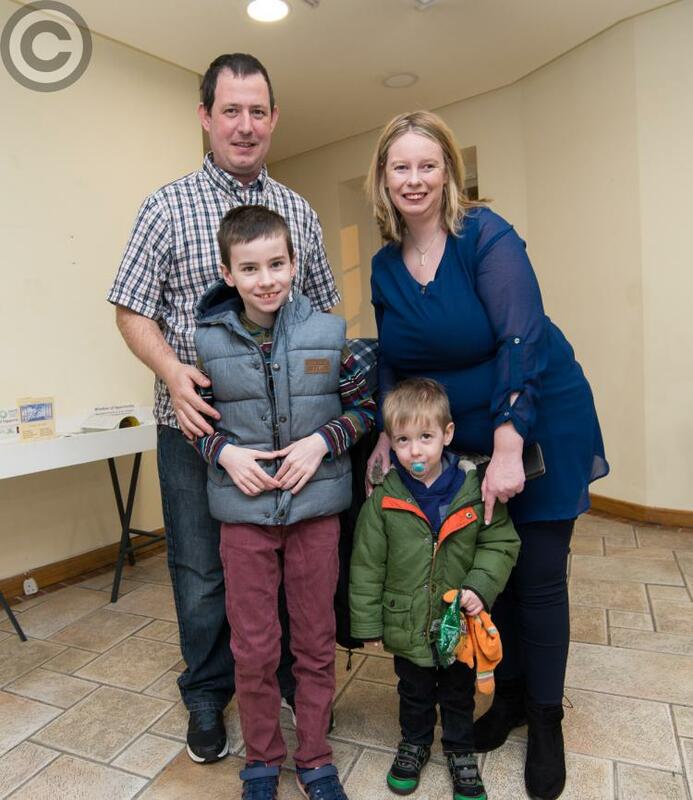 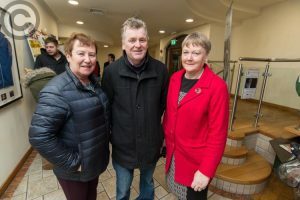 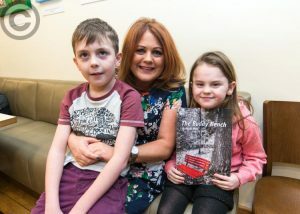 Live original performances of spoken word and music from a Portlaoise mother and son rounded off the launch of a special exhibition of work in the Dunamaise Arts Centre last Thursday, March 2. 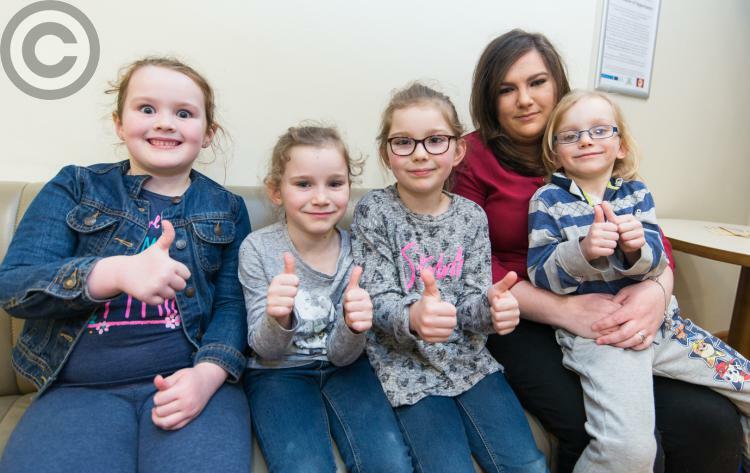 ‘Window of Opportunity’ is a new project comprising artwork and storytelling, showcasing the talents of eight local women, all parents of children who are attending Scoil Bhride in Knockmay. 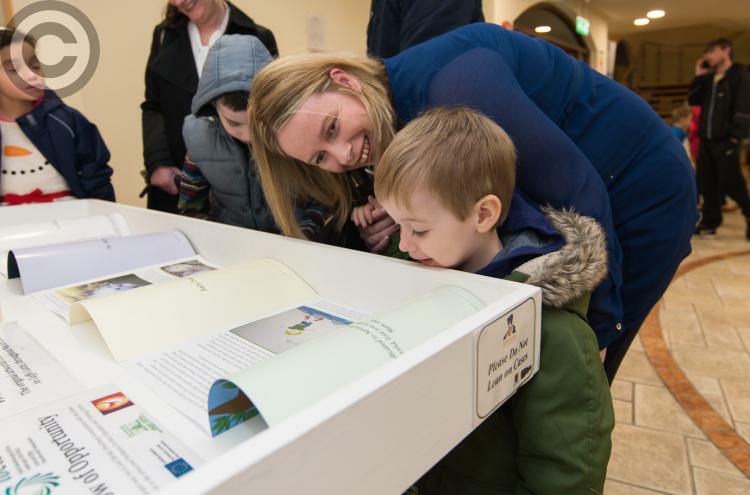 The project was run in Scoil Bhríde Knockmay in association with the Home School Community Liaison Officer in the school and Portlaoise Further Education and Training Centre. 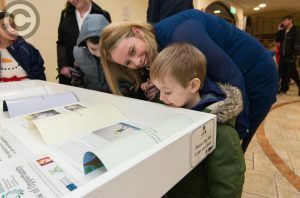 As part of the project, the women wrote and illustrated short books for their children. 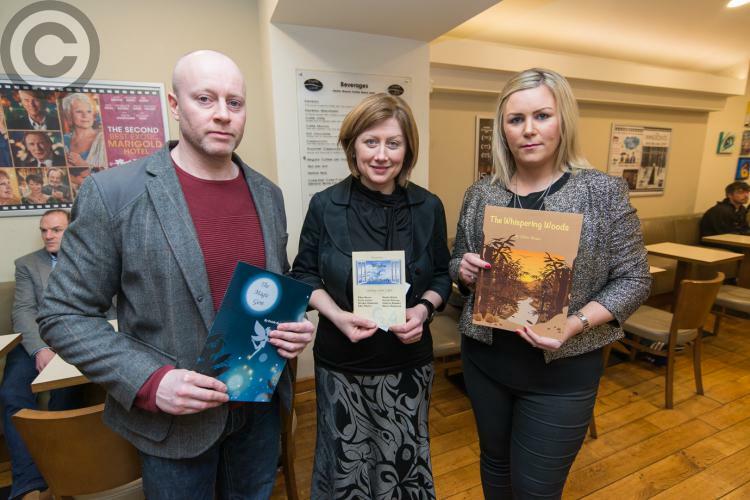 One of the talented first-time authors, Rhona Walsh read out her work at last Thursday’s launch, which saw a huge crowd turn out despite the inclement weather. 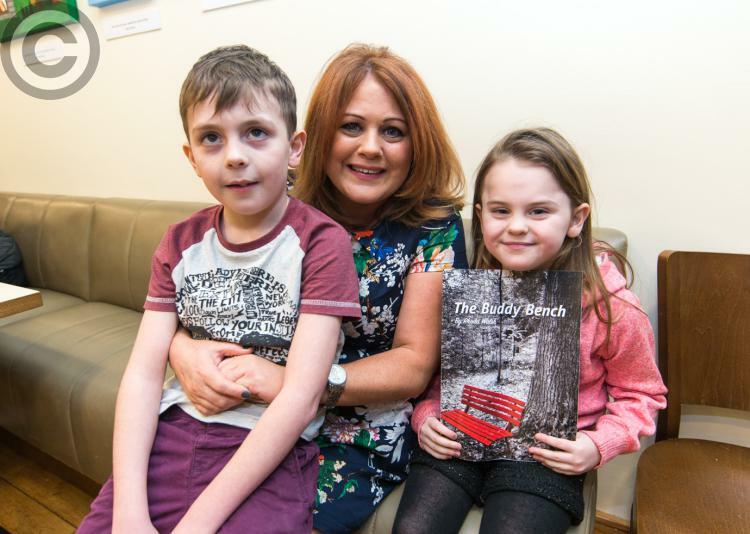 Rhoda dedicated the story, ‘The Buddy Bench’, to her five children, and at the conclusion of the event her 16-year-old son, Curtis, performed his original track, ‘Million Dollar Shakes’. Curtis, who attends the Academy of Popular Music in Cork, represented Laois at the Irish Youth Music Awards recently, and is the youngest person ever to have played at the Electric Picnic. 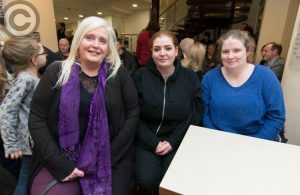 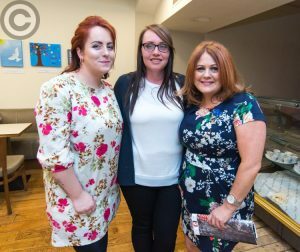 Besides Rhoda, the other women involved in the project are Ellen Momo, Karla Jordan, Deirdre Redmond, Edel Phelan, Nicole Delaney, Sabrina Bowden and Nicole Redmond. Michelle De Forge, director of the Dunamaise, said that ‘Window of Opportunity’ was a fantastic project and the Dunamaise was really excited to have the group exhibiting on the wall of the centre used to host local artists. 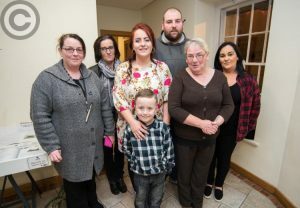 Giving the women and their families complimentary tickets for a forthcoming show in the Dunamaise, Michelle expressed her hope that everyone would come back to the centre often. “The door’s always open for you,” she said. Deirdre Delaney, home school liaison officer with Scoil Bhride, congratulated the women on their achievement, and said there were tears of joy when they handed over the finished pieces. 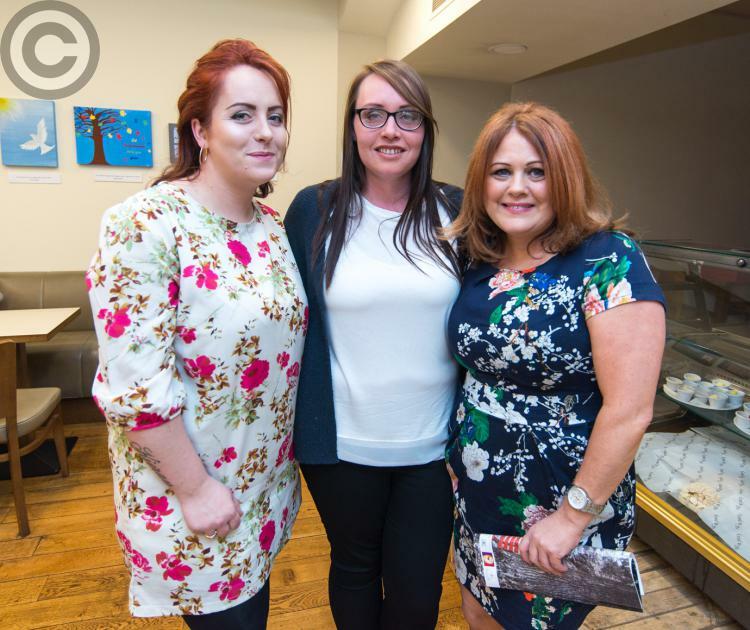 Praising their hard work, she said she hoped the women continued to engage with future projects. Kathleen Dunne, Adult Literacy Organiser with Laois Offaly ETB, congratulated tutors Denise Dunne and Mary Delaney, who gave their hearts and souls for the project. 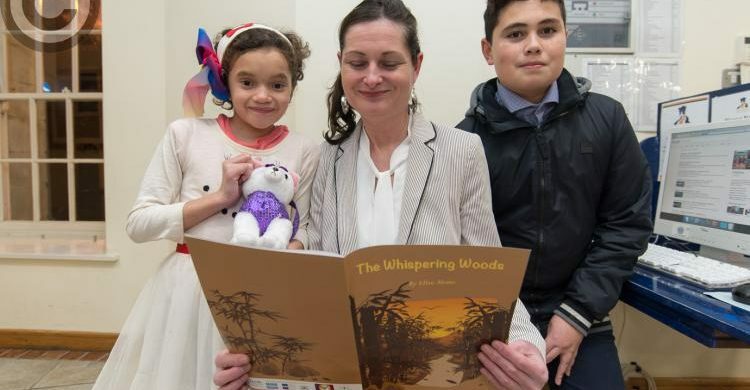 Muriel Wall-Coughlan, principal of Scoil Bhríde, received copies of the women’s books for the school, and there are also copies for the county library. 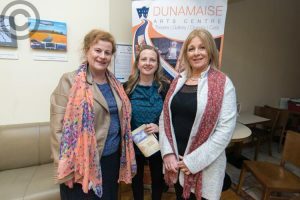 The exhibition runs at the Dunamaise Arts Centre for the month of March.